Syracuse (April 2, 2014) – The Central New York Community Foundation awarded a $33,000 grant to Upstate Golisano Children’s Hospital to fund equipment and programs that assist children and teens suffering from hearing impairment and vision loss related to cancer treatment and developmental conditions. According to Upstate, more than 80% of children and young adults diagnosed with cancer survive, however the majority of these survivors develop “late effect” medical problems related to their treatment. 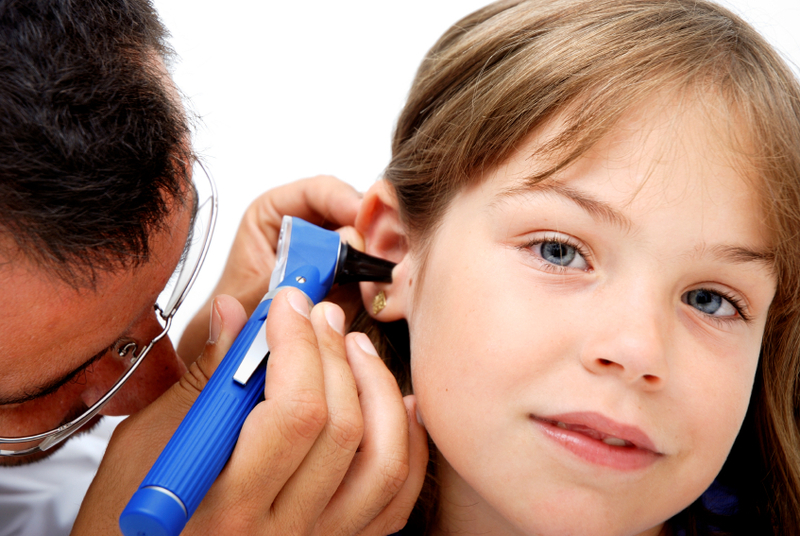 Complications include loss of hearing, vision issues and loss of mobility. The combination of radiation and chemotherapy treatment can cause high frequency hearing loss and damage to optic nerves, which can be devastating to young children, especially when they are learning to read and speak. The grant will be used by Upstate’s Center for Development, Behavior and Genetics and the Dr. William J. Waters Center for Children’s Cancer and Blood Disorders to subsidize hearing aids and glasses for children and teens with financial needs. In addition, funding will be used to purchase KidWalk 2 mobility systems, which help non-ambulatory children maintain a hands-free upright posture to allow them freedom of movement and work on muscle coordination and balance. The systems will be used during the Fit Families Group Visits program, which promotes sports participation for children with vision impairment or blindness. The Center for Development, Behavior and Genetics specializes in providing comprehensive, innovative, family-centered services for infants, children, adolescents and young adults through 25 years of age who have a developmental disability. The Dr. William J. Waters Center for Children’s Cancer and Blood Disorders outpatient clinic provides comprehensive treatment and care for children with, and survivors of, cancer and blood disorders. J. Henry DeBoer was a trailblazer in the early world of furniture making, retailing, packing, moving and shipping. His family business, formed in 1910, produced and distributed 30 patented furniture display and handling accessories. Martha DeBoer was the company’s vice president. This charitable bequest was established in 1977 to help children suffering from vision problems, impaired hearing or kidney disease. J. Daniel Pluff, a prominent local financial advisor, established this fund with his wife Diane to benefit a cause that was deeply personal to them – services for children with special needs. During her quest for answers to help her own children, Diane became very involved with helping other local families who were experiencing similar issues with their newborns. She was struck by the frequency of hearing loss in children. The couple established this fund to do what they can to help special needs children and their families with support, comfort and hope.